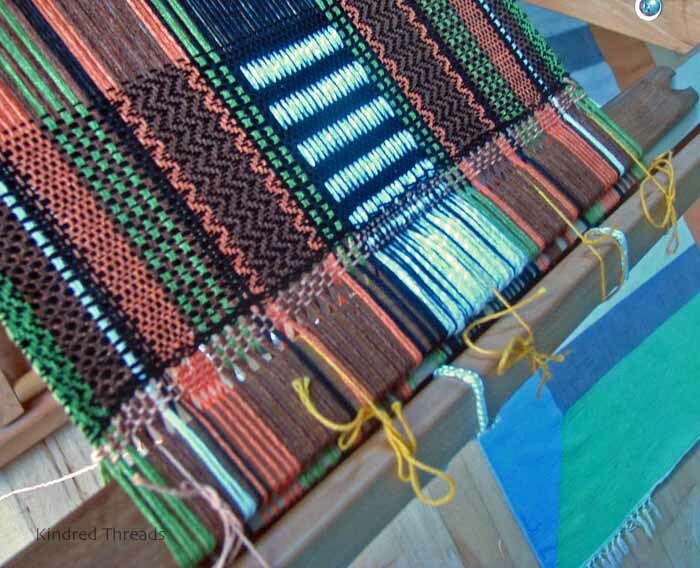 Cutting off a finished scarf before finishing the whole warp, is quick and easy with this technique. Make a two stick heading after you have finished the first scarf by weaving one inch of plain weave or as close as you can get; insert 2 sticks into the next 2 sheds and weave at least one inch more. Here is the scary cutting part. 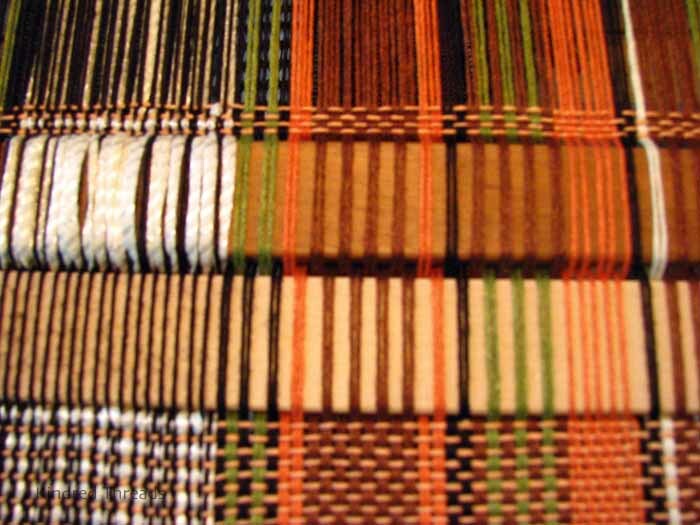 Cut between the finished scarf and the one inch of plain weave you wove. Remove your scarf from the front apron rod. Then fold the two sticks and tie them to the apron rod as shown below. Voila! You are back in business and you don’t have to re tie on your warp, so your tension remains consistent. 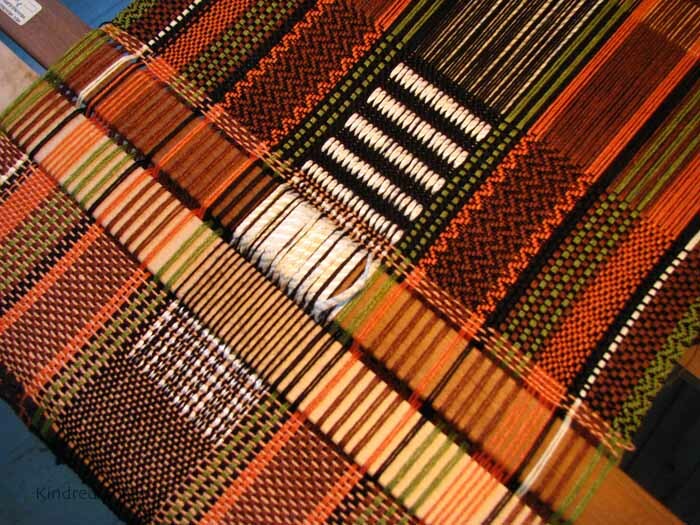 Great technique, I'll have to try it, that is if I ever get back to weaving. Nice scarves! Your scarves are dazzling, and thank-you for your tutorial; I've read about this technique, but never seen it executed. The patterning in your work looks quite complex. May I ask what weave structure/s have you used in this project. 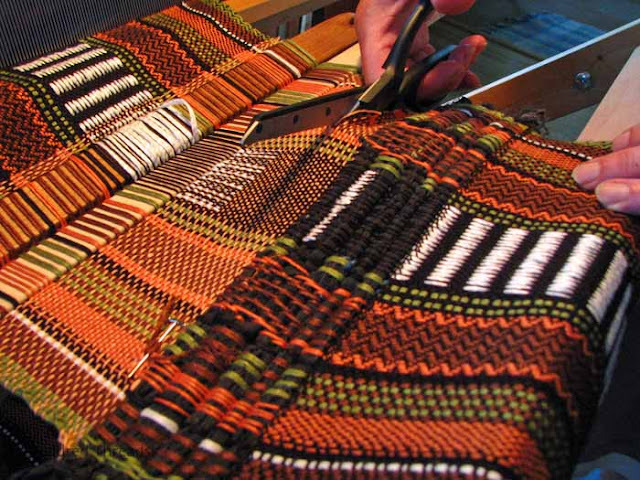 Check out the book Weaving And Drafting Your Own Cloth by Peggy Osterkamp. As with all her books it is filled with tips and this cutting finished fabric off is from her. Thanks for the wonderful comments on my scarf. 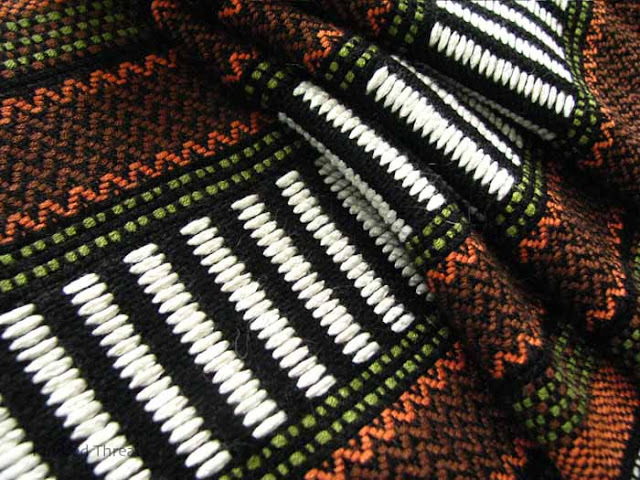 It is a twill and basketweave combination with the white ribbon as a supplementary warp. What a great tip! I love anything that saves time. 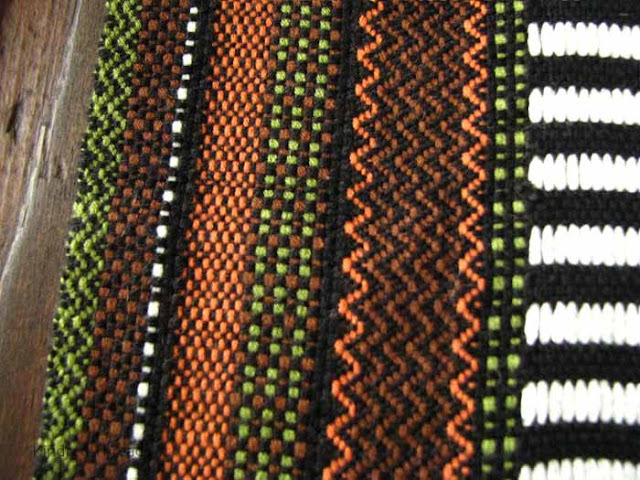 Great pattern. Beautiful results. Saw this header tip on Peggy's Site too. Gonna have to try it myself.